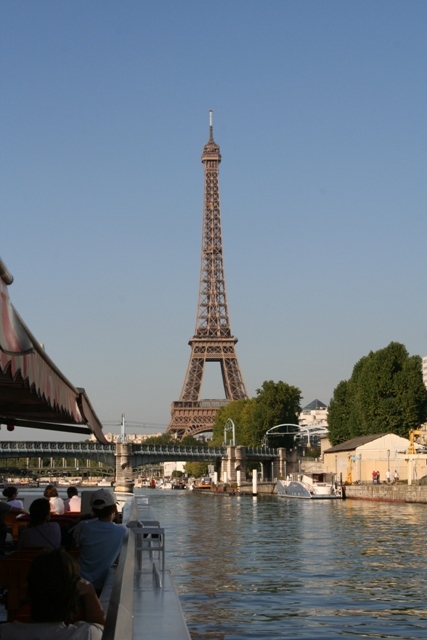 A trip down the Seine on a bateau mouche was always on my reject list – far too crowded, far too touristy and not for me. Until Son decided in his three year old wisdom he wanted to have a boat trip in Paris. So, off we went on a bateau mouche down the Seine. How times change! We opted for a trip that took around an hour, anything longer (with our 3 year old) would start to veer away from enjoyable and head towards torture. There were regular departures – hourly and half hourly from the Pont de l’Alma, so plenty of choice. I was surprised when we climbed on-board. The boat was super spacious and quite comfortable. We tried out the seats inside (I think Son tried every single one of them) but eventually chose a spot on the top deck outside. Definitely the best views from here, however a slight downside – these seats are not covered. If it rains you get wet, if the sun shines you get hot. Luckily for us it was the latter. There was a pre-recorded commentary in about 7 different languages. I tried for about 10 minutes to follow and then gave up and just enjoyed the views. The boat trip was relaxing and enjoyable. 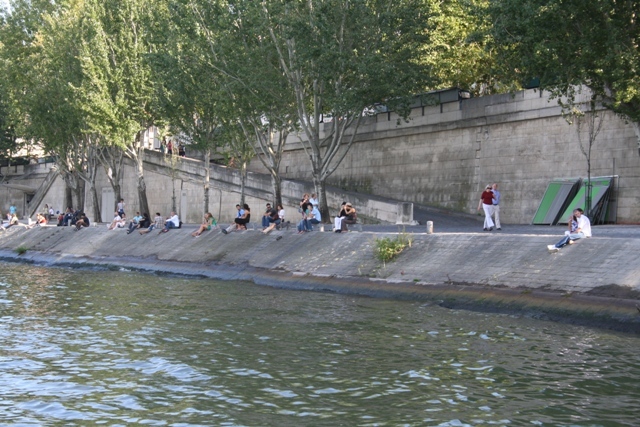 The Seine runs through the historic heart of Paris and the urban landscape is beautiful. Many of the famous landmarks and monuments are on the river banks – Notre Dame, the Louvre and the Eiffel Tower to name a few – so you see a lot and from a different perspective. We were all mighty excited to see the Eiffel Tower from the river. 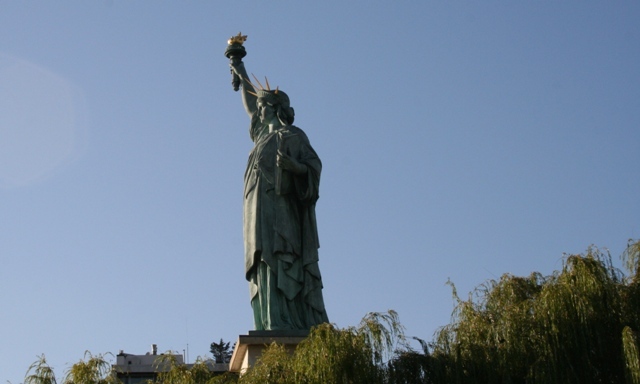 Unexpected maybe, but you also see the Statue of Liberty – no it’s not a mirage but a miniature of her big sister in New York which looks in the direction of the Atlantic, symbolising the links between France and America. There are more than 30 bridges across the Seine, Son enjoyed spotting and counting them. Our favourite was the Pont Neuf, the oldest one of all and close to Notre Dame. It was fascinating to watch all the activity on the river banks – people strolling, relaxing, reading and playing music. 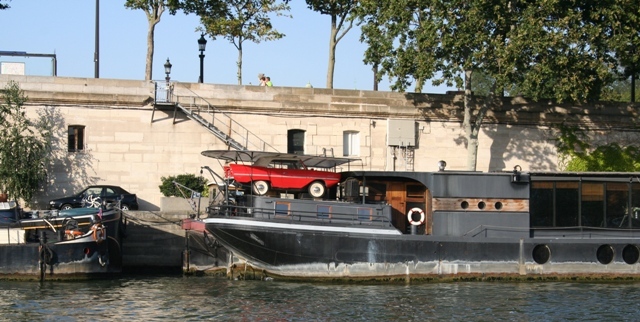 We saw boats getting set up for the evening dinner cruises – I quite fancied that, Paris by night from the river, but Son and a dinner cruise would not have been such a great mixture. After an hour Son was ready to get off the boat, but a good time was had by all. It surprised me how much I did enjoy this unique view of the city. Now I firmly believe that the bateau mouche is to Paris what a gondola ride is to Venice – a wonderfully touristy but unmissable way to see the city from a different perspective. I’ve become a fan. For years, I always stayed away from the super touristy things. But lately, I’ve been embracing them (as long as I they’ve gotten good reviews) – I’ve haven’t been disappointed yet! I know exactly what you mean. We too have started embracing the touristy and been pleasantly surprised….. didn’t know what we were missing! I’m pretty sure there are evening cruises that don’t include dinner. Also, the boats can be useful for transport as well as sightseeing. You can buy a day pass on at least one of the lines. Thank you – these look very interesting – good to have a choice as well! Next time we go to Paris I would like to do an evening cruise for sure! Also good to know you can use them to get around as an alternative to metro/walking – thank you for the tip. We are the opposite, love the bateau mouche’s and don’t like the Venetian gondolas. The vaporetto is a fraction of the price of a gondola and you see Italian life played out as a drama on each ferry boat. We’ve been on the vaporetto in Venice too – loved it and know exactly what you mean about the drama. We did love the gondola as well though but it’s true price wise, a gondola ride is so expensive. We were so lucky with the weather – sunshine (most) days. 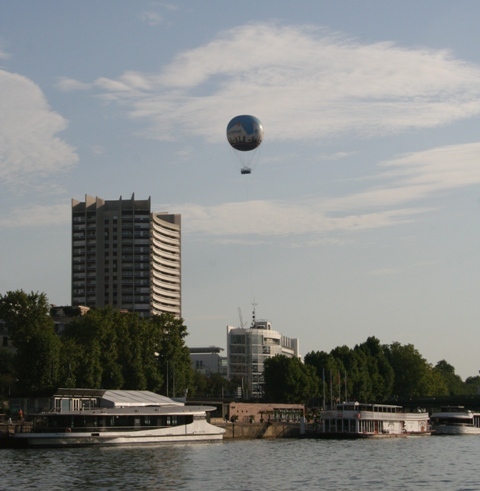 The boat trip was great – a chance to see stuff but relaxing too! Sometimes you have to do the touristy things – no shame in that! And it’s especially true if travelling with others and doubly so with children. They all do that thing with trying all the seats then, do they? Thank you for sharing your experience. Hubby and I might have to fit an evening dinner cruise into our trip this October. Thank you for reading! Paris by night from the river would be beautiful – I think – unfortunately never experienced that, but we loved the daytime view. Hope you enjoy your trip as much as we did. Never thought of Groupon – I will be checking that out in future for all travels! Thank you for the tip! I love to do things like this when I visit new cities! For me, I found a ton of great Groupons for Paris! Check it out to see if there is anything that strikes your fancy, I got my bateau mouche trip 50% off! Let me support Mytimetotravel: the ride on the canal Saint-Martin is fabulous. 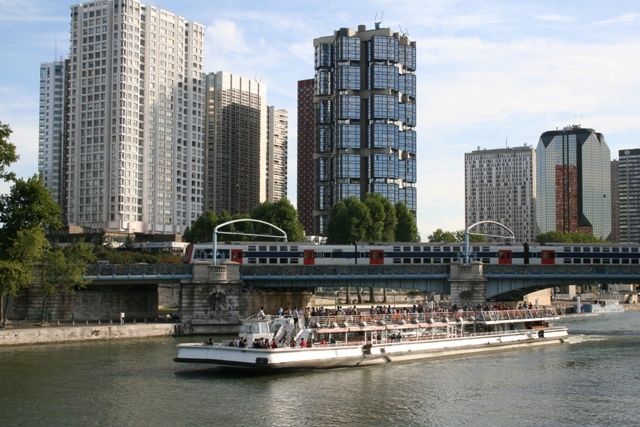 Now, the Bateaux-mouches are indeed large, but there is another option, which I belive combines with the metro and bus tickets, called Bateaubus. 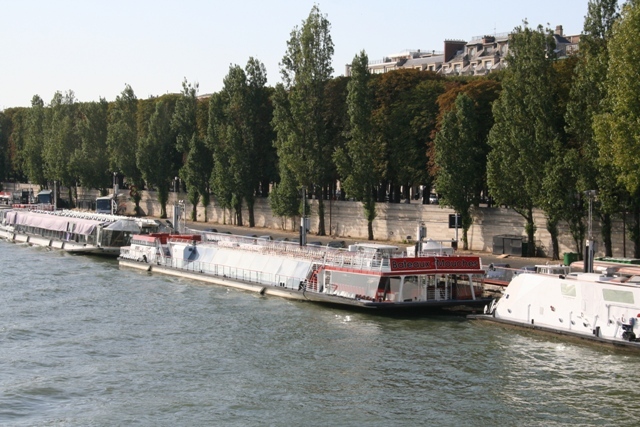 Smaller boats, makes five or 6 stops along the Seine. And your pass is valid for the whole day. A very nice way to cruise in Paris. PS. And evening cruises are… priceless. Then go for dinner at Les Gaulois in the Ile St-Louis. Thanks for the tip – will definitely try the evening cruise and dinner at your recommendation next time – sounds great!